Action is most powerful when paired with our quiet time with Jesus. He has the wisdom and power to transform nations, governments, and individual hearts. The most precious gift you can offer is your prayers on a regular basis, and we mean that! He has heard the orphan cry, and He is faithful to rescue them in their time of trouble. Together, let’s pray that we are all equipped and empowered to be His hands and feet as needed, and let’s stand in faith that He is continuously moving on behalf of His beloved children in miraculous ways. PRAY WITH US THAT THE LOCAL HONDURAN CHURCH WILL RECEIVE THE CALL TO CARE FOR ORPHANS AND TO BECOME ADVOCATES FOR FAMILY-BASED CARE WITHIN THEIR COMMUNITIES. PRAY THAT LOCAL PASTORS WOULD ENCOURAGE THE CHRISTIANS IN THEIR CHURCHES TO CARE FOR CHILDREN IN NEED. PRAY THAT THROUGH THE LOCAL CHURCH, GOD WOULD CALL FAMILIES TO SERVE ORPHANS AS FOSTER PARENTS, MENTORS, OR AS EACH ONE IS CAPABLE, TO CHANGE THE CULTURE OF ORPHAN CARE IN HONDURAS. PRAY WITH US THAT OVER TIME, HONDURAS WILL COMPLETELY AND HEALTHily DEINSTITUTIONALIZE residental care for ORPHANs IN GOD'S PERFECT TIMING. 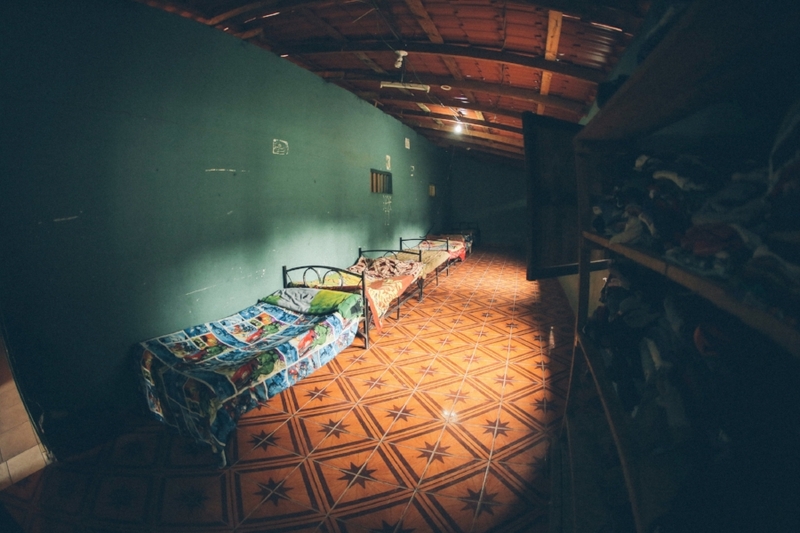 PRAY THAT THE LOCAL honduran CHURCH WOULD RISE UP TO BE THE ALTERNATIVE ANSWER FOR ORPHAN CARE. PRAY FOR THE STAFF AND DIRECTORS OF IDENTITY MISSION, THAT GOD WOULD CONTINUE TO GIVE THEM GUIDANCE AND WISDOM NEEDED TO HANDLE EACH CHILD'S CASE WITH THE LOVE AND GRACE THAT CHRIST HAS DISPLAYED TO US. PRAY THAT GOD WOULD USE THEM TO BE THE FORERUNNERS OF JUSTICE AND THAT THEY WOULD BE EQUIPPED TO HANDLE EACH SITUATION FOR THE GLORY OF GOD AND FOR THE BEST INTEREST OF THE CHILD. PRAY THAT THEY WOULD EQUIP FAMILIES WITH THE BEST RESOURCES AND SUPPORT TO CARE FOR THE CHILDREN IN OUR PROGRAM IN EXCELLENCE. PRAY WITH US THAT THE GOVERNMENT OF HONDURAS WILL CONTINUE TO SUPPORT AND ADVOCATE FOR FAMILY-BASED CARE AND TO ADVANCE THE PROCESSES OF REINTEGRATION, FAMILY SERVICES, AND DOMESTIC ADOPTION. PRAY THAT MORE STATE OFFICES WOULD BECOME OPEN TO PLACING CHILDREN IN FAMILIES, RATHER THAN IN TRADITIONAL RESIDENTIAL orpahanges. PRAY FOR THE THOUSANDS OF CHILDREN WHO LIVE IN ORPHANAGES in HONDURAS. PRAY THAT THE LOCAL CHURCH WOULD GRASP THE VISION OF MENTORING THE CHILDREN, SO THAT THEY CAN HAVE A SENSE OF BELONGING IN THEIR COMMUNITY AND BE BETTER PREPARED FOR LIFE AFTER THEY AGE OUT. PRAY THAT GOD WOULD USE RESOURCES LIKE OUR IDENTITY CURRICULUM AND YOUTH RETREAT TO IMPACT THEM, MAKING THEM AWARE OF THEIR PURPOSE, POTENTIAL, AND IDENTITY IN CHRIST! PRAY THAT GOD WILL CONTINUE TO PROVIDE FINANCIAL PARTNERS FOR IDENTITY MISSION, SO THAT THE resources NEEDED TO GROW OUR FAMILY-BASED CARE EFFORTS IN HONDURAS CAN be attained TO WORK IN EXCELLENCE FOR THE CHILDREN THAT WE SERVE.